Home / The Survival Aids Blog / Laser Cut Ultralight Webbing Platform Now Available! Laser Cut Ultralight Webbing Platform Now Available! allows the user to maximise their combat load and modify their configuration using the tried and tested MOLLE mounting system which is fully compatible with British Forces Osprey and other issue carriage systems. The multi-terrain camouflaged material is as strong and abrasion resistant as traditional 500D Cordura and is laser cut creating an ultra lightweight webbing system incorporating yoke, belt and pouches that weighs just 900 grams! Laser cutting simplifies the webbing kit and negates the need for additional stitching, straps and potential weakness points of a traditional webbing rig. Furthermore a six piece lazer cut webbing set will fit into a single utility pouch! 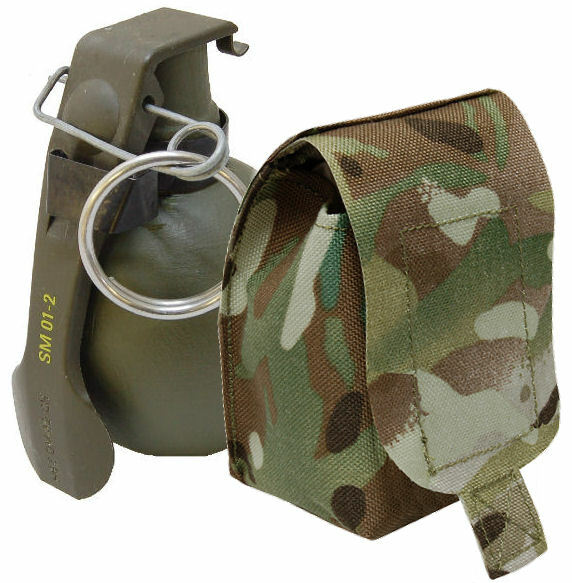 There’s no need to worry about the strength either, pouches have been tested up to a load strain of 225kg (a quarter of a tonne) and the straps to 110kg. Find out more about the Rave System Ultralight Webbing Platform by clicking here now….